Can a Catholic confess their sins to God alone or must it be a priest or can it be any other? This is a perennial question, one of the top five on the mind of people curious about Catholicism. 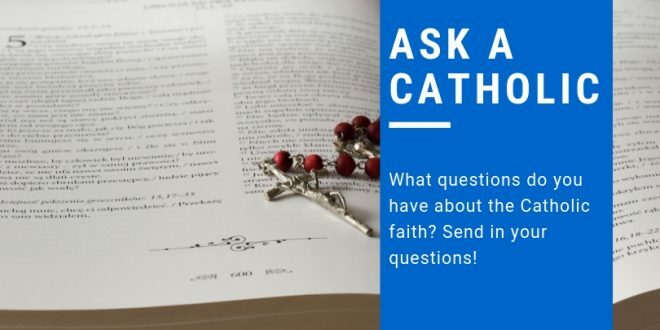 It’s a good question if for no reason other than many non-Catholics get their understanding of this Catholic sacrament from Hollywood, and believe me, Hollywood—while apparently fascinated by it—rarely, if ever, portrays Confession in true and accurate ways. Rather, Hollywood almost always portrays Confession in ways that are laughable if not pathetic. It’s good to acknowledge that Confession has a Protestant history, too. Although he denied that Confession is a sacrament, Martin Luther held the idea of confession of sins to another person in high regard. The bottom line answer to your question is that God alone can forgive sins, so of course Catholics confess sins to God, even when they confess them to a priest in the sacrament that is called, variously, Reconciliation, Forgiveness, Conversion, Penance, or Confession. The “Catechism of the Catholic Church“ uses all five words to describe this sacrament. I’m getting ahead of myself, however, because we need to define a couple of terms if we’re going to have a clear understanding of what we’re talking about here. First, we need to know what we mean by “sin.” This is one of those religious words that we tend to use while assuming that we all know what it means when, in fact, we may not have the same understanding of the word, at all. A legalistic understanding of sin, which defines it as the violation of a law or rule, is common. Another understanding of sin views it in more personal and wholistic ways. Thus, a sin is any action that damages one’s relationship with God, with other people, and/or with the wider community. Sin may also be an act that is self-destructive, or damages God’s creation, the earth, our home. But the point is that sin is not merely a private reality. Rather, sin has social consequences, weakening the social fabric of the church community and the wider community, as well. So it’s appropriate that the confession of sins be more than a private affair, too. Catholicism also distinguishes between big-time sins (mortal) and lesser sins (venial). We don’t have the space to go into this, but it’s good to be aware of the distinction. Second, because for Catholics Confession is a sacrament—one of seven—it’s important to know what we mean by “sacrament.” One broad definition says that a sacrament is a visible sign of an invisible reality. More specifically, for Catholics a sacrament is a way to encounter the risen Christ in a particular, tangible way. Thus, the sacrament of Reconciliation is a way to admit one’s sins to Christ present in the person of the priest and experience forgiveness in the words of absolution spoken by the priest. Catholics believe that the risen Christ gives priests the authority to do this in the Gospel of John when he says to the disciples: “If you forgive the sins of any, they are forgiven them; if you retain the sins of any, they are retained” (20:23). Sure, one may silently speak one’s sins in solitary prayer, ask God’s forgiveness, and in faith believe that one is forgiven. But countless Catholics will tell you that there is something about speaking one’s sins to a priest that makes sins real and specific, not just a vague “sinfulness.” Also, if you’re serious about avoiding particular sins in the future, it helps a great deal when you speak of them in specific terms and when a priest offers some tips on how to avoid such sins in the future. The risen Christ instructed us to confess our sins to one another. (John 20:23) We are being faithful when we go to Confession. We receive grace to resist sin through the Confession, as well as forgiveness. There is built-in accountability to the rest of the Church. Our relationship with the Church is healed. We have certainty that our sins our wiped away, by hearing the words of absolution. Must a Catholic participate in the sacrament of Forgiveness, with a priest, in order for his or her sins to be forgiven? No, although there is a church law which requires Catholics to go to Reconciliation at least once a year. But, again, countless Catholics will tell you that it’s a much richer, more satisfying experience than merely whispering a vague list of sins or a general “sinfulness,” to God. 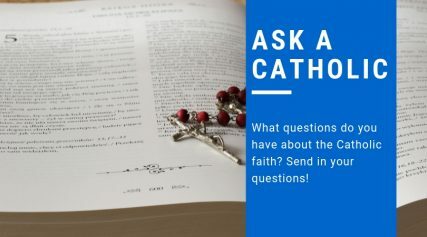 Your question also asked if Catholics may confess their sins to a person other than a priest. One may certainly do this, and in some cases it may even be advisable, especially if the “other” is one who has been hurt by the sin being confessed. Officially speaking, however, there is nothing sacramental about such a confession. This is a good place, however, to mention what’s called “the seal of Confession.” This means that a priest may never, under any circumstances, reveal what anyone has told him in Confession. Final observation: Catholics need not “go to Confession” to have their sins forgiven. But receiving a priest’s assurance that your sins are forgiven is a joy compared with asking God to forgive you, then wondering if God really does forgive you.